Florida, 16 January 2019 – NewBook, cloud property management software, today announced its expansion plans into the United States market. After pioneering success in the Asia Pacific and European regions, Founder & CEO Brad Illich said, “with a shortage of sophisticated systems currently available in the United States, now is the perfect time to enter and offer RV Parks a competitive platform to compete with global conglomerates, such as Airbnb and Booking.com”. Established in 2010, NewBook quickly became the preferred property management system of thousands of RV Parks, thanks to their crowd sourced development strategy, which led to hundreds of innovative features and real solutions to overcome the many stumbling blocks operators were facing. NewBook has a huge range of clients, ranging from single operators to large corporations and among them are hundreds of the best RV Parks in the world. Last year, Australia and New Zealand conglomerate Family Parks was the first of many to sign up for NewBook’s central reservation system, offering a streamlined reservation process for all member parks, while retaining insights on reservation patterns and a centralized customer database. The response to NewBook’s entry into the US market in late 2018 was overwhelming, which has fast-tracked the decision to open a US office in early 2019. Founder & CEO Brad Illich is excited to share numerous RV Parks have been in contact, looking for an automated, cloud-based business model to increase reservations, revenue and better connect and engage with their guests. 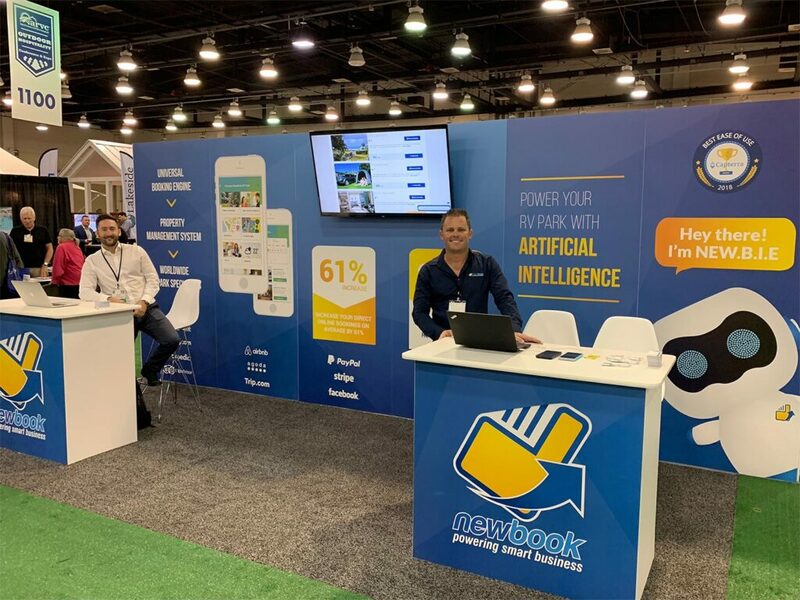 NewBook’s latest product offerings include NEW.B.I.E, an artificial intelligence guest assistant and a GuestAssist App, which target the younger generation of travellers, allowing guests to self-manage their stay while reducing staff operating costs. 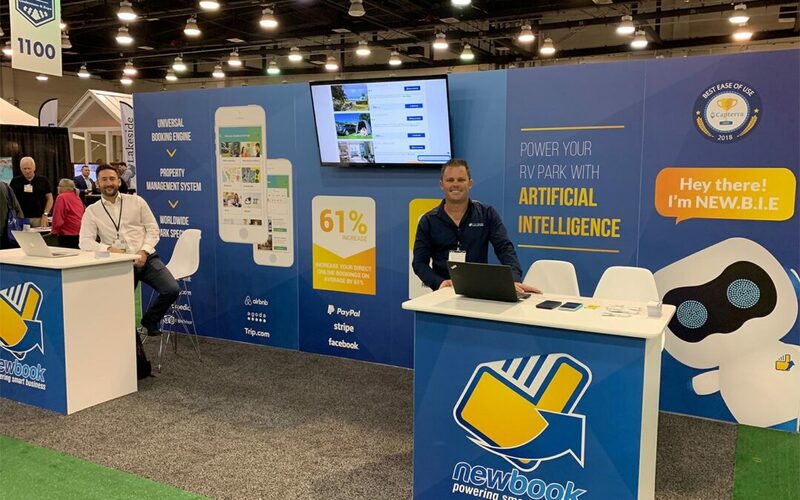 NewBook’s drive to stay at the forefront of the industry and provide RV Parks with the best possible system has cemented NewBook’s global success. NewBook’s award-winning property management software is designed especially for the tourism industry and has a proven track record in increasing reservations and productivity, transforming thousands of apartments, hotels, resorts and RV & holiday park clients’ businesses globally. We use artificial intelligence to improve efficiency, enhance guest experiences and increase revenue in our clients’ businesses.